The New Vox Art Gallery is currently running a Kickstarter campaign to raise money for a community art project. For those unfamiliar with Kickstarter, the basic premise is you put up an amount of money as a donation towards the fundraising goal an organization sets. If enough people donate and the organization reaches their goal in a specified period of time, they get the money. If they fall short of their fundraising goal the money goes back to the original donors. Most Kickstarter campaigns offer different incentives for different levels of donation. 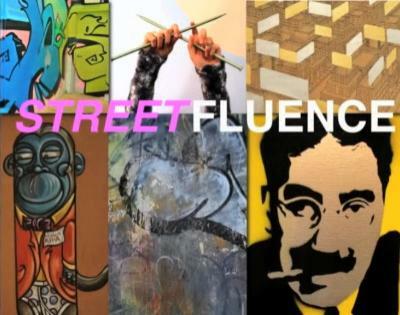 The Streetfluence art campaign is looking to raise $2,000 and has 10 days left to do so. A group of six local artists will install temporary murals on different locations near Wyandotte Street including on the Ye Olde Ale House corner of five points and the side of the building that will eventually be transformed into The Greenhouse gastropub. Artist Tom Evans has been taking photos of residents around the art gallery’s neighborhood and is planning to create spraypaint stencils based on the photos. He will then stencil them onto a plywood fixture which will be hung on street corner. Another artist, Jason Schwab, will be doing a cutout showing the Bethlehem cityscape from an aerial view, incorporating local businesses into the work. Artist Lavanya Patricella plans on yarn-bombing trees in the neighborhood area. So far the campaign has raised $365, or 18% of its goal. Money raised will go towards supplies such as paint, yarn, and plywood, as well as permits, ladders, scaffolding, promotional materials, and insurance. For different levels of donations backers will receive signed postcards, prints, and posters. The community art project will be unveiled at a July 28th event which will feature music and other activities.